Changing your Wi-Fi password is a good way to ensure that unauthorized users can't access your Internet access or the data on any devices connected to your network. Anyone who has figured out your old password will automatically lose network access when you change the password. In most cases, changing the password can be done by using a Web browser on your computer while it's connected to your router. To do this, you need to find the router's IP address, enter the admin username and password and then find the wireless password field. 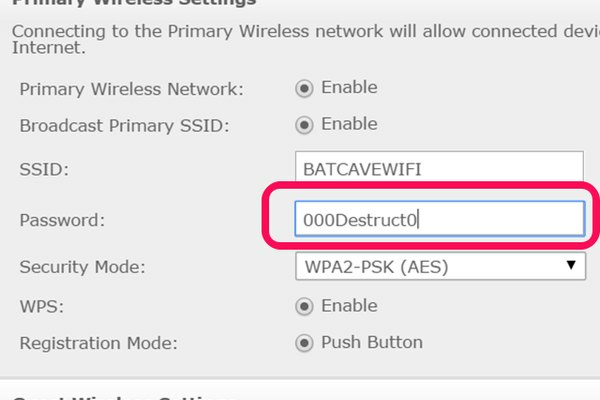 While each router is different, the steps to do this are essentially the same. If you have installed software from the router manufacturer, like that used by Cisco or Linksys routers, for example, you should use that software instead. Make sure your computer is connected to your Wi-Fi network. In Windows 8.1, click Network in the bottom-left menu of File Explorer and then right-click your Wi-Fi router and select Properties. 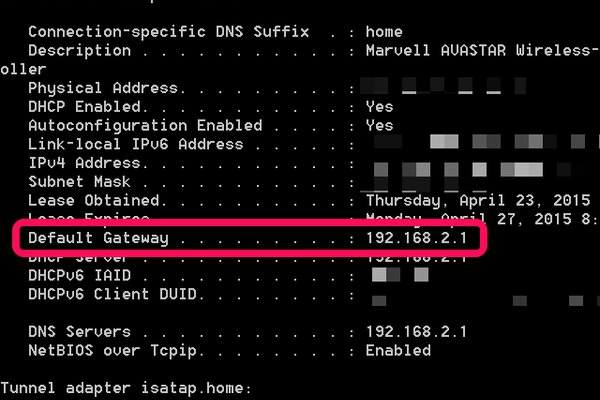 Click the Network Device tab in the Properties window to see the router's IP address. On Windows 7, launch the Command Prompt window by typing "cmd" in the Windows Search field. Type "ipconfig/all" and press Enter. Scroll up to the Wireless LAN Adapter section and look for Default Gateway IP address. Type the router's IP address in a new Web browser window and press enter. 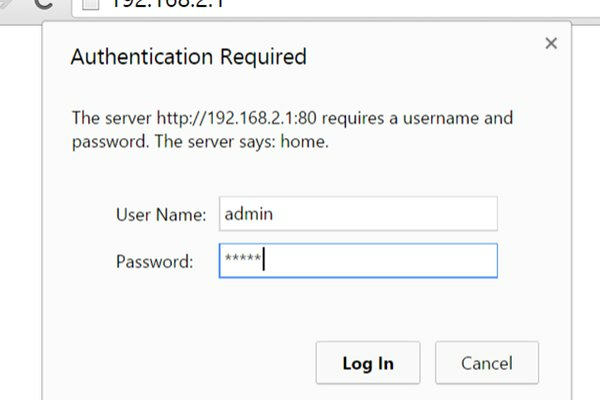 This is the tricky part: You need to enter the admin username and password to get access to the router's admin panel. Fortunately, most routers use "admin" or blank fields for the username and the password, so try different combinations of that, such as "admin -- admin" or "(blank) -- admin," or just leave both fields blank and press Enter. If you can't figure out the username and password, you'll have to hunt online for your router's manufacturer and model. 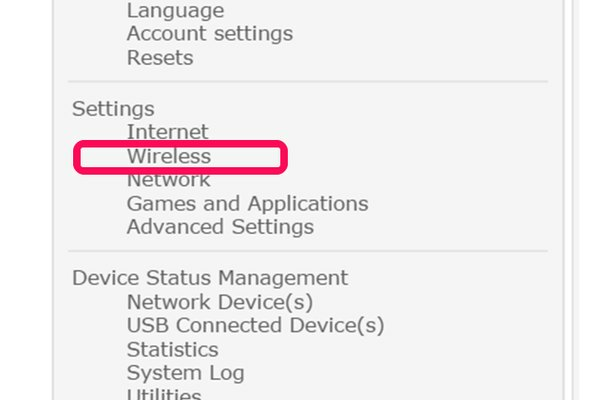 After you gain administrative access to the router, look for either a "Wireless" or "Security" option in the menu. This varies by model. Click the Password field and enter a new password. Make sure the password is strong and hard to guess. If the router is in your home, you may want to write it down on a piece of paper and place it under the router. Memorize the password and click Save. Enter the new password when prompted on every network-connected computer, tablet, smartphone and TV in your house. If you're setting up a new computer and can't remember your Wi-Fi password, you can get it from any computer that does have access. To learn how to do this, click here. If you have set the router's admin username and password yourself and can't remember what it is, reset the router. In most cases, this involves sticking a paperclip in the reset button while the router is unplugged. If for any reason you can't access the router's admin panel over Wi-Fi, connect your computer directly to the router using an Ethernet or USB cable to gain access.